The Alexander Avenue Bridge (27C0150) has a short pony arch main span and long slab approach spans. It was designed and built in 1925 by Larkspur city engineer John Oglesby. 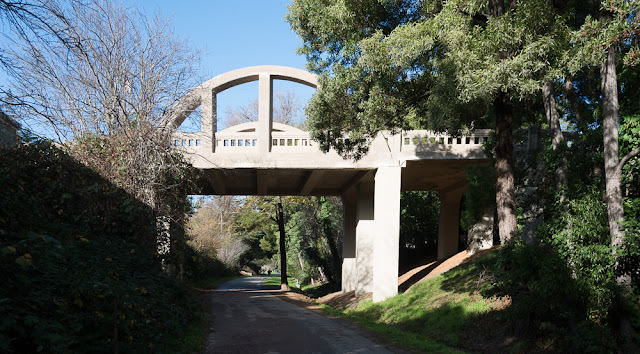 It originally crossed over the Northwestern Pacific Railroad, which was eventually turned into a bicycle and foot path. The bridge was listed as a historic place in 1984 but it was so deteriorated and seismically unsafe that the city considered replacing it. Eventually it was rehabilitated and retrofitted by the Hanna Group in 2012 at a cost of $1.4 million (paid for with state and federal funds). Work was completed in 2014 by the Ghilotti Construction Co. The bridge looks a little odd with brand new columns supporting an aged superstructure and with the tall columns and tall arches supporting such a short span. Also the steep approaches look a little funny. I guess all of these peculiarities make it into a unique and interesting bridge. 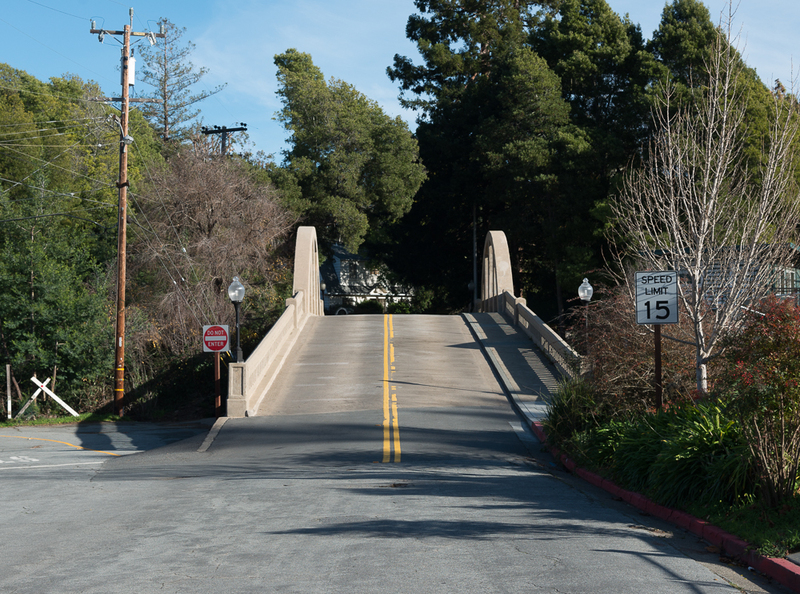 Marin County, California Bridges: Alexander Avenue Bridge across the Larkspur - Corte Madera Path by Mark Yashinsky is licensed under a Creative Commons Attribution-NonCommercial-NoDerivatives 4.0 International License.